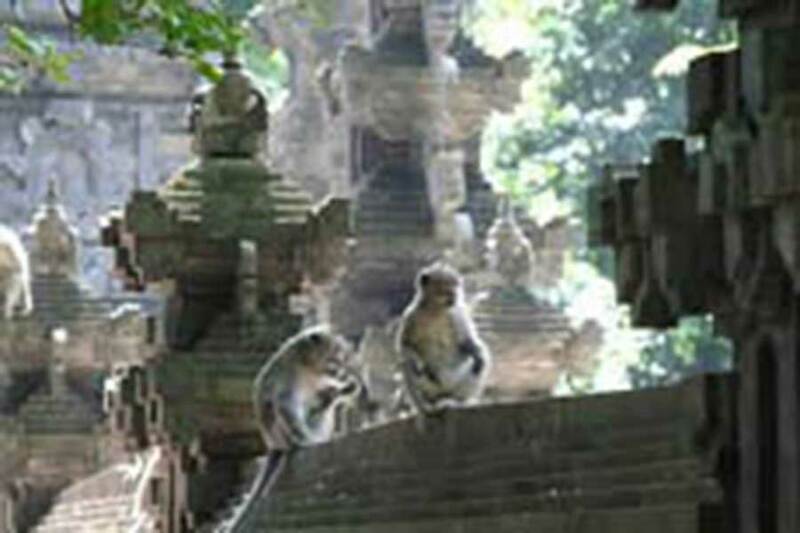 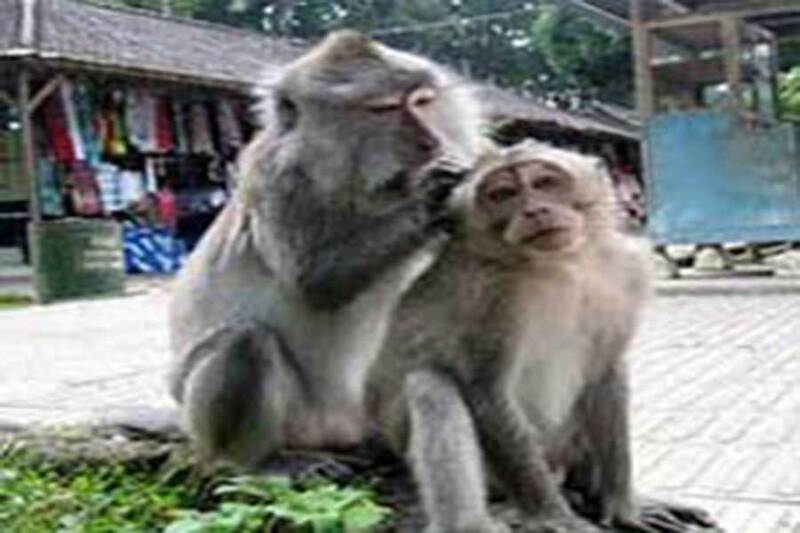 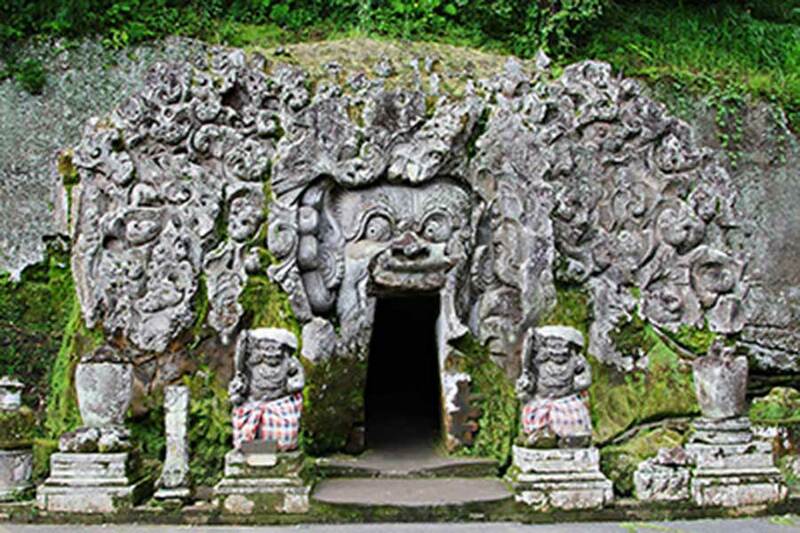 This temples or monkey forest located in the southern park of Banjar Manalun, Kukuh Village Marga district, Tabanan Regency. 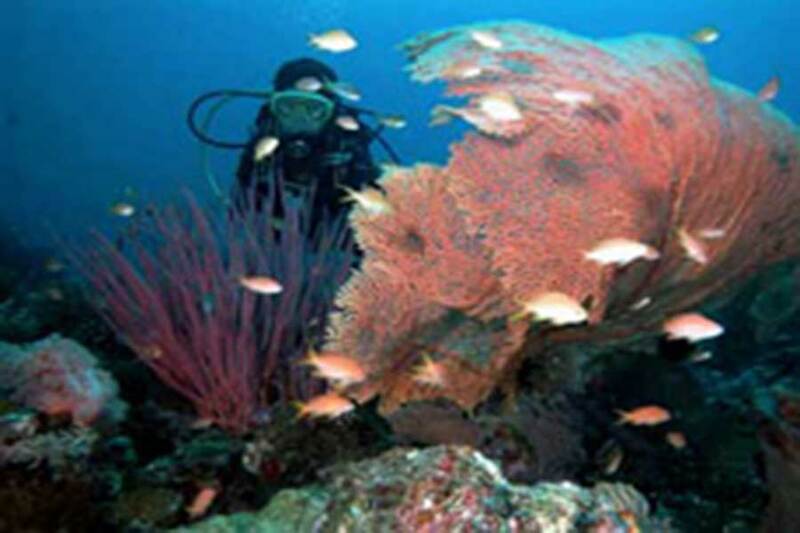 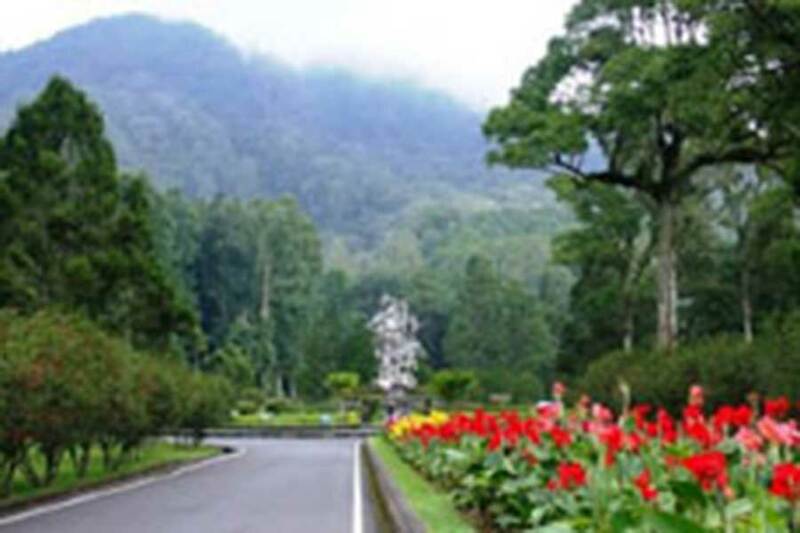 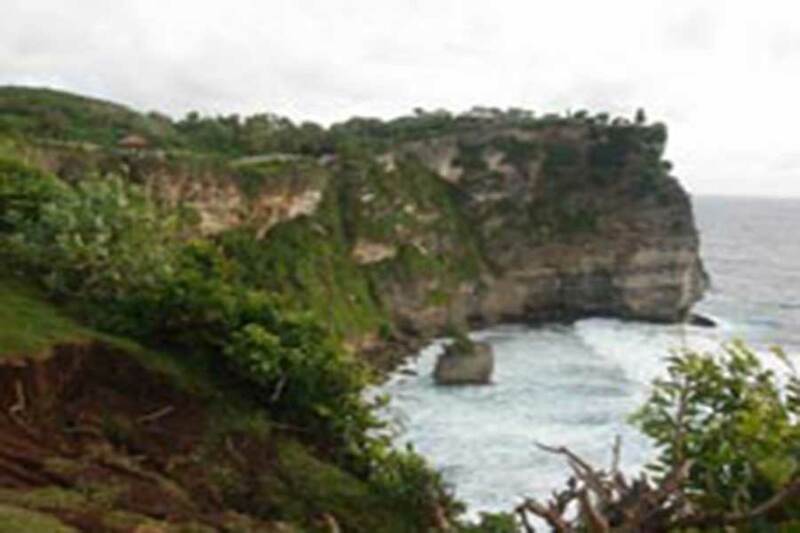 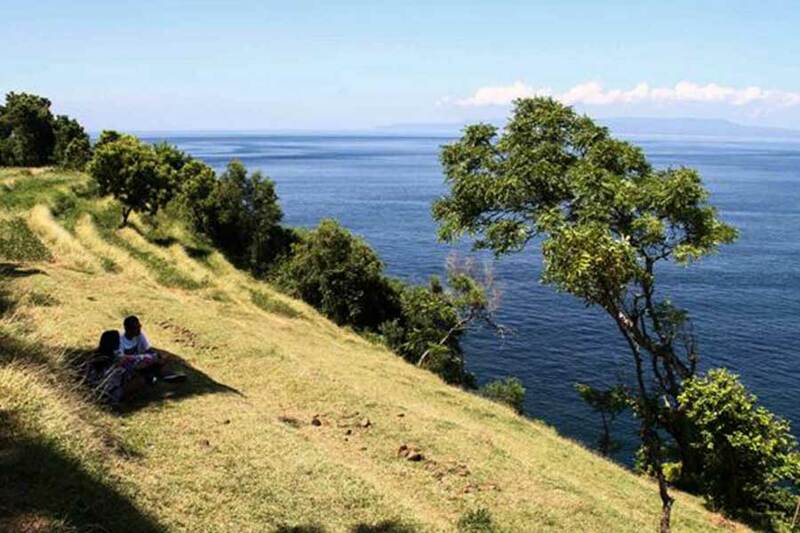 At the altitude 170 meters above the sea level, just 5 kilometers from the closest city Tabanan. 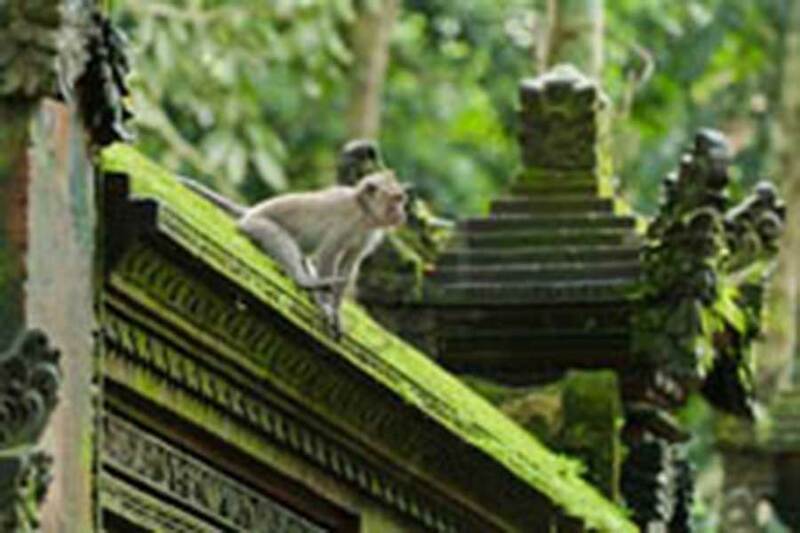 Alas Kedaton or "Holy Monkey Forest" is a small forest measuring about 12, 00 ha. 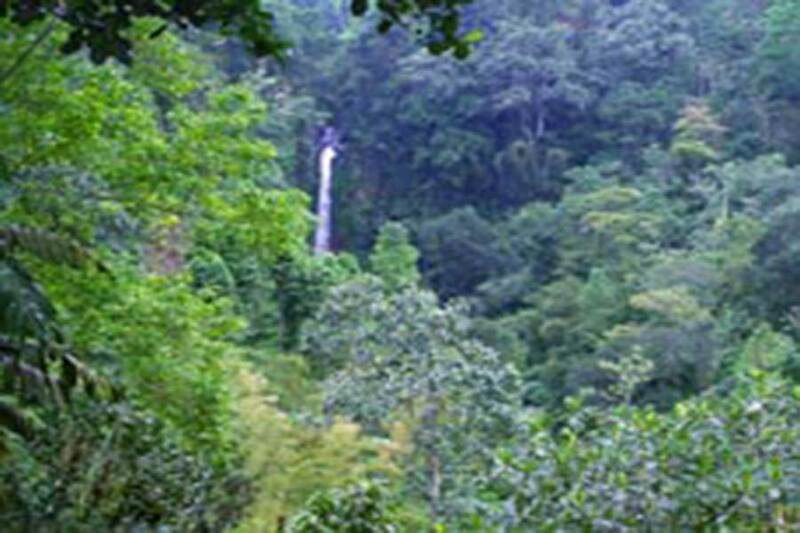 There are hundreds of monkeys in this forest and high up on the big trees many bats ate hanging and singing with their loud voices. 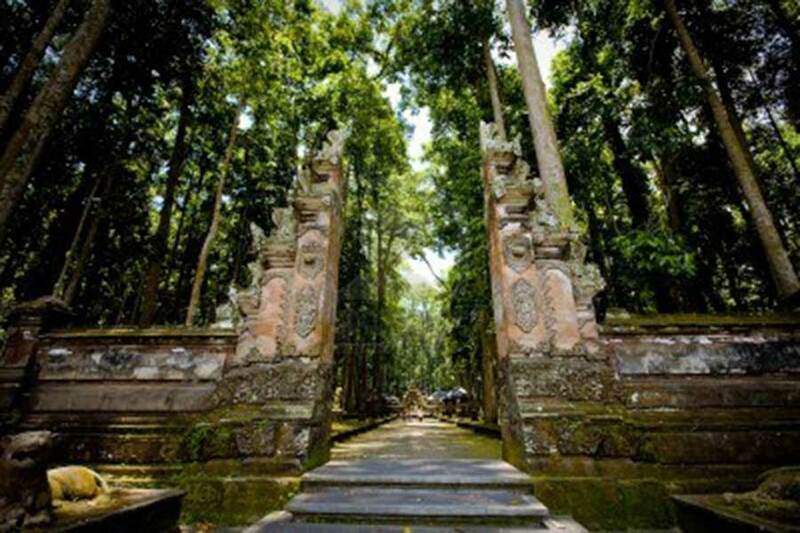 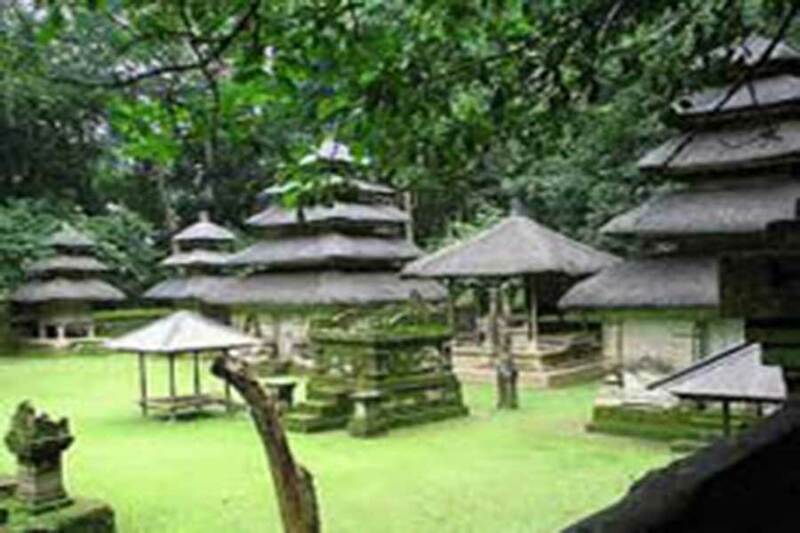 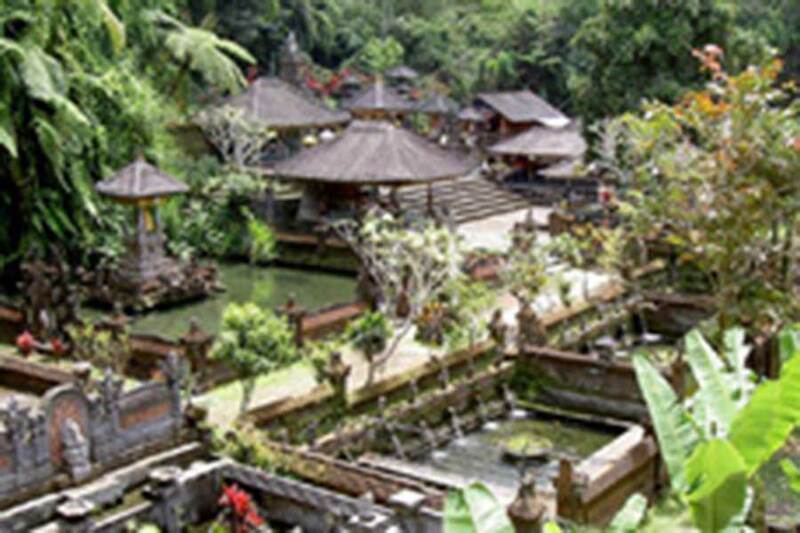 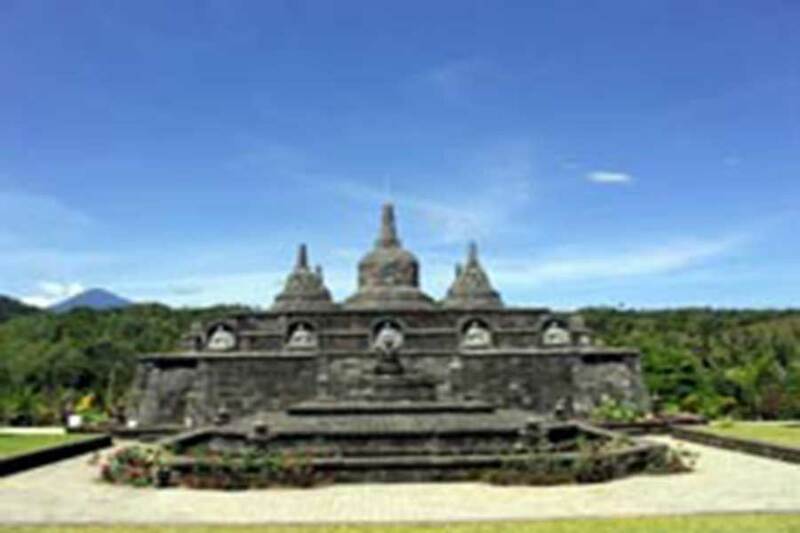 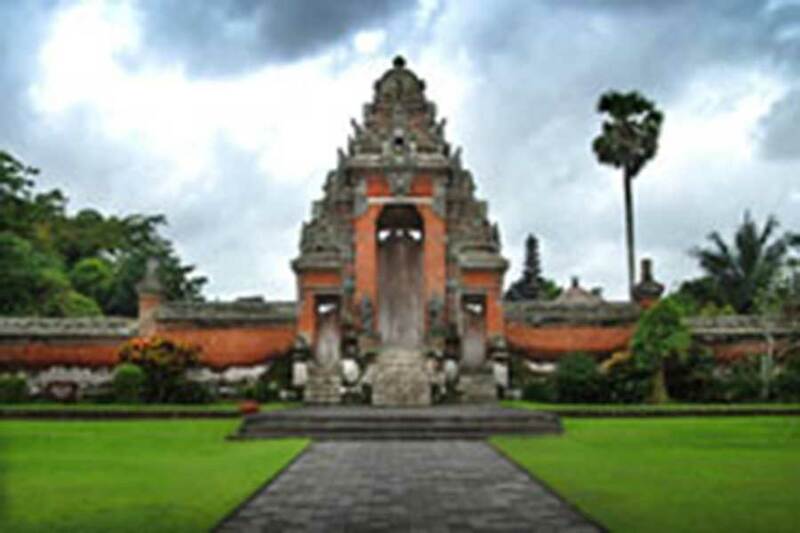 In this forest is an old temple what we called Dalem Kahyangan Kedaton Temple is one of the important and attractive temples amongst thousand of temples all over Bali. 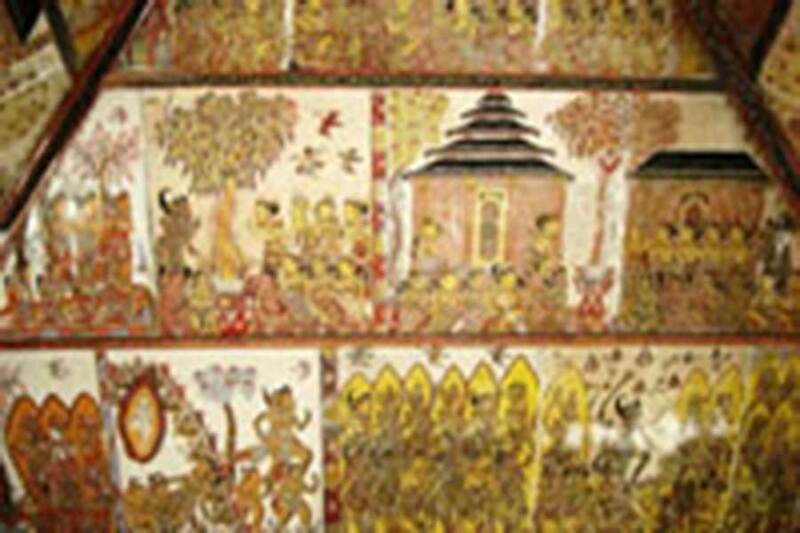 Historical and Religious Backgrounds of the Temple. 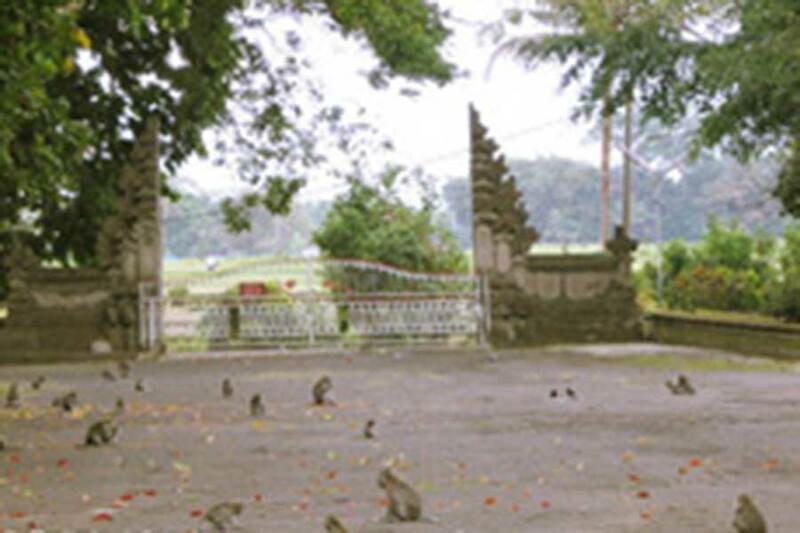 Based on the result of archeological research, it is the fact that Dalem Kahyangan Kedaton Temples is an old temple, proved by the archeological remains that are found inside the temple which still function as a scared monument for local people. 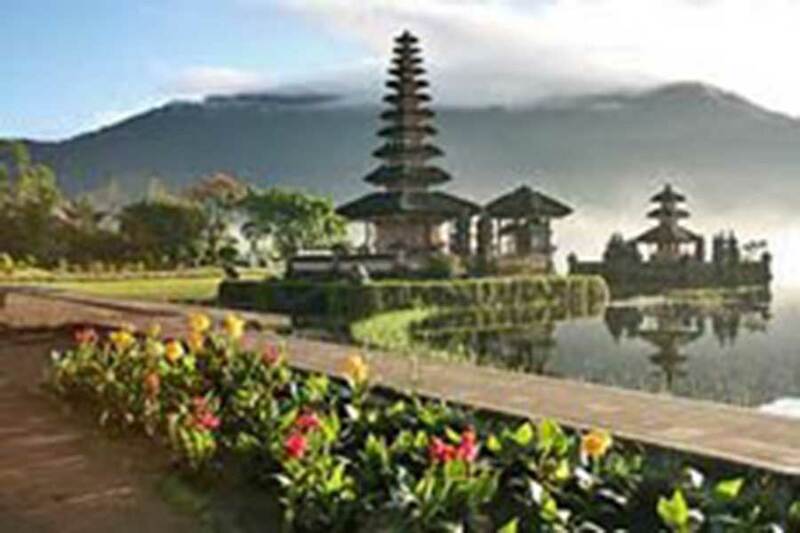 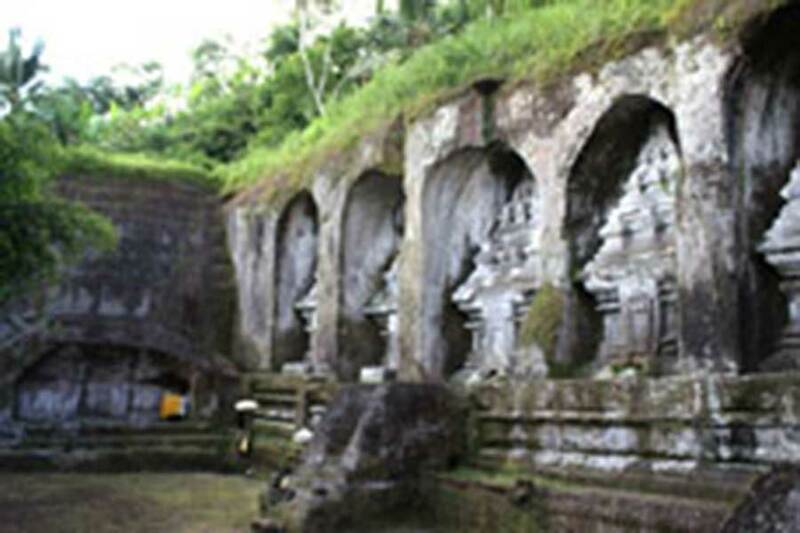 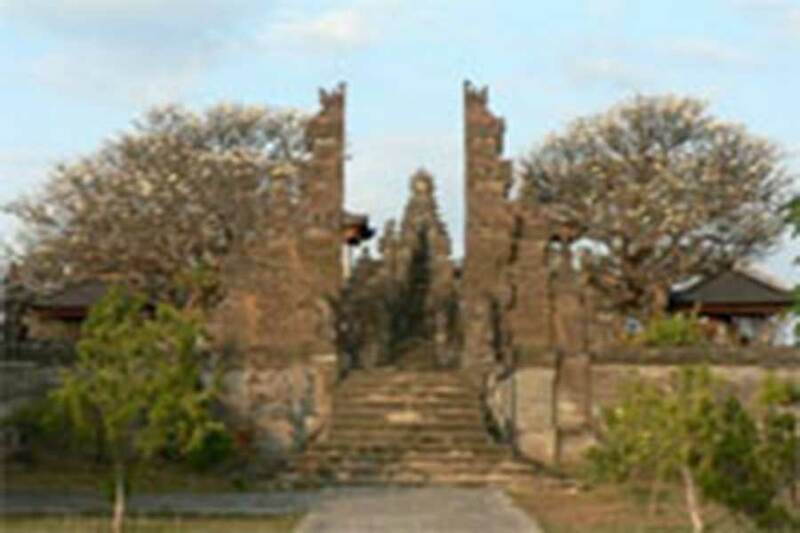 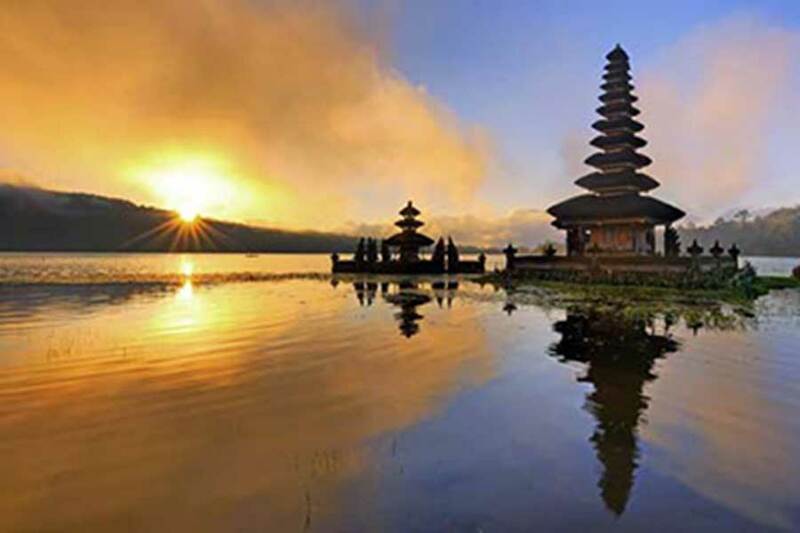 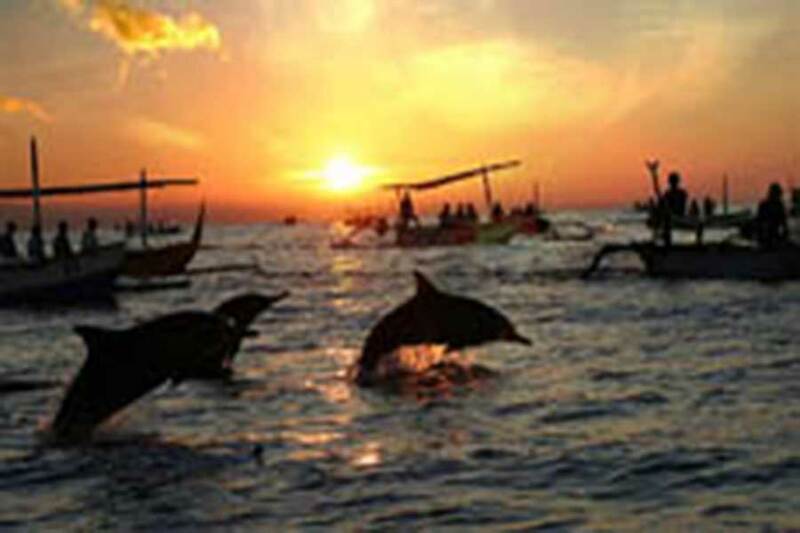 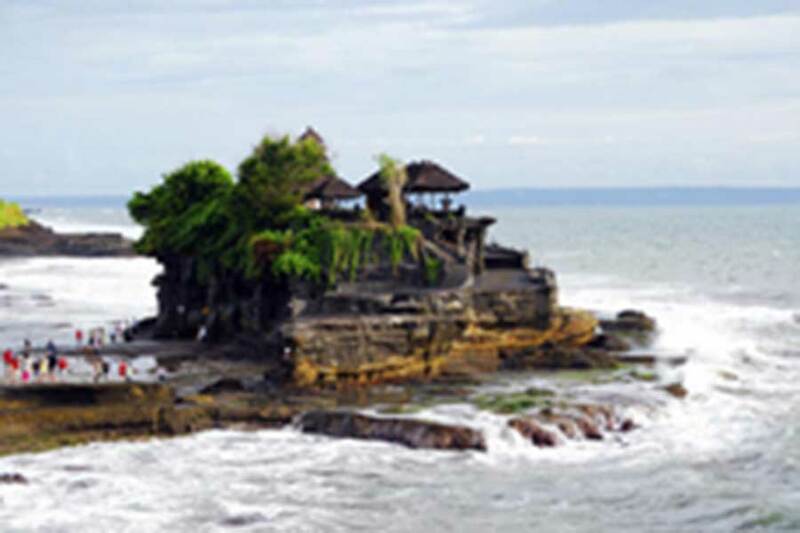 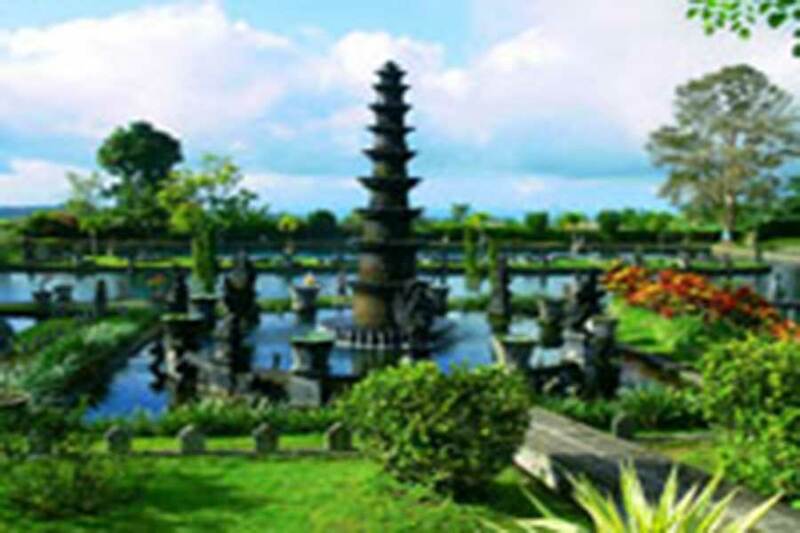 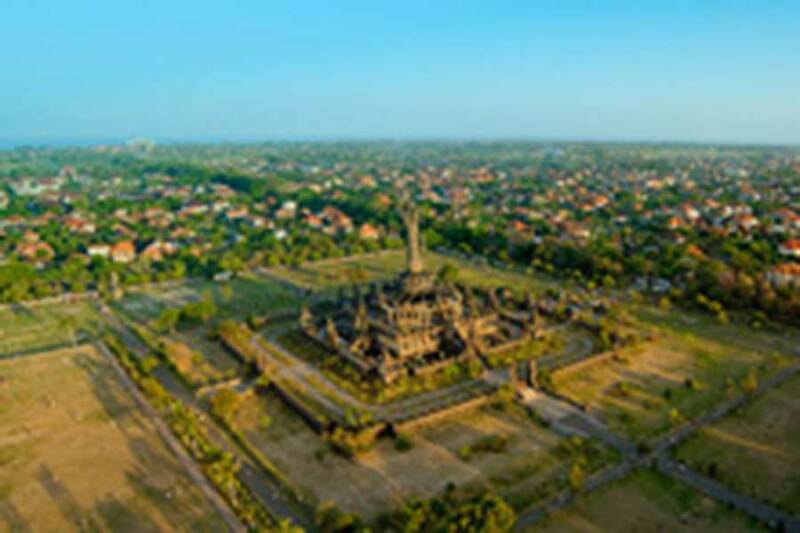 Amongst the archeological remains originated from prehistoric period when megalithic traditions developed in Indonesia, in general, and particularly I Bali during the period of advanced technology at the end of prehistoric times nearly the beginning of or after Christian era, approximately 2000 years ago. 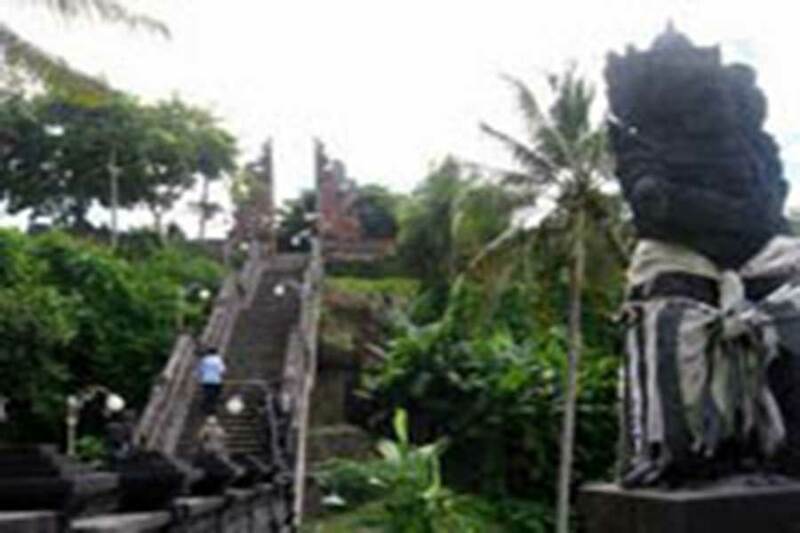 During the time, megalithic society in Indonesia had established megalithic monuments made of big as well as small stones functioning as worshipping media, especially for worshipping the ancestor spirit who is considered to have magical power, to the super natural power and to power providing fertility so that society will be always safe and prosperous. 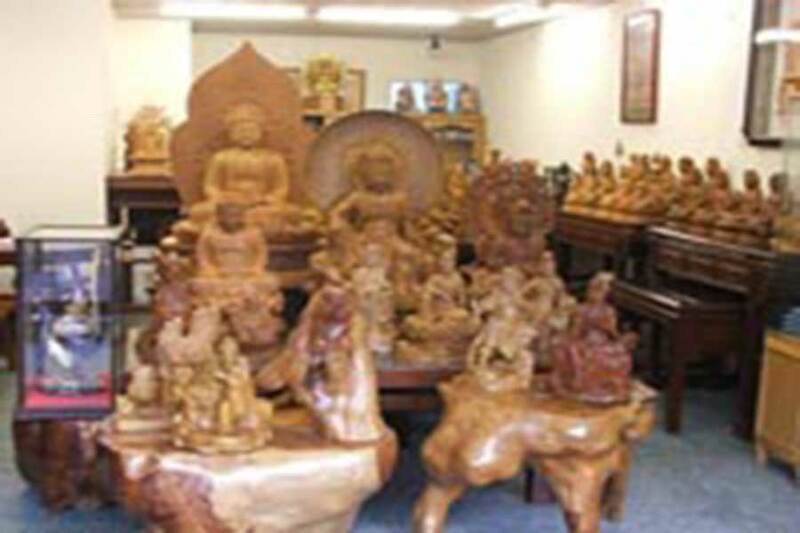 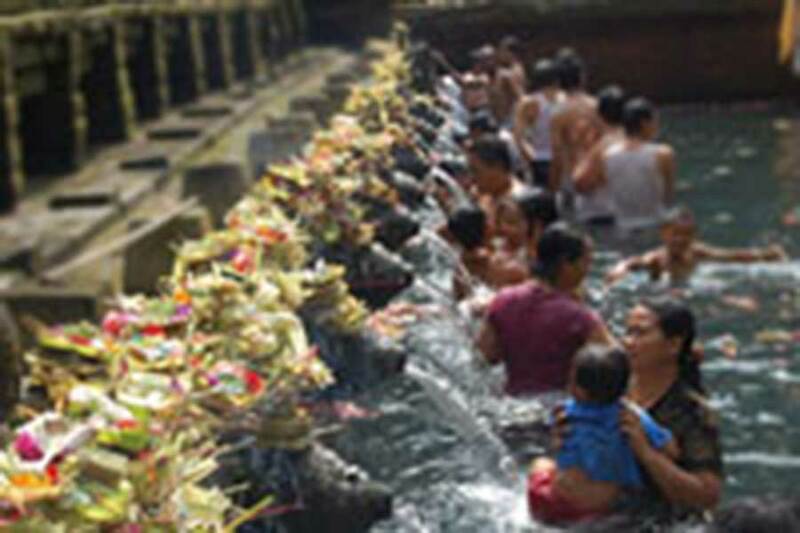 The unique things that are necessary to be watched are the temple ceremony is conducted in the mid day or at noon and it must be finished before the sunset or before night comes, because it is not allowed to use fire, light incense and used lamp. 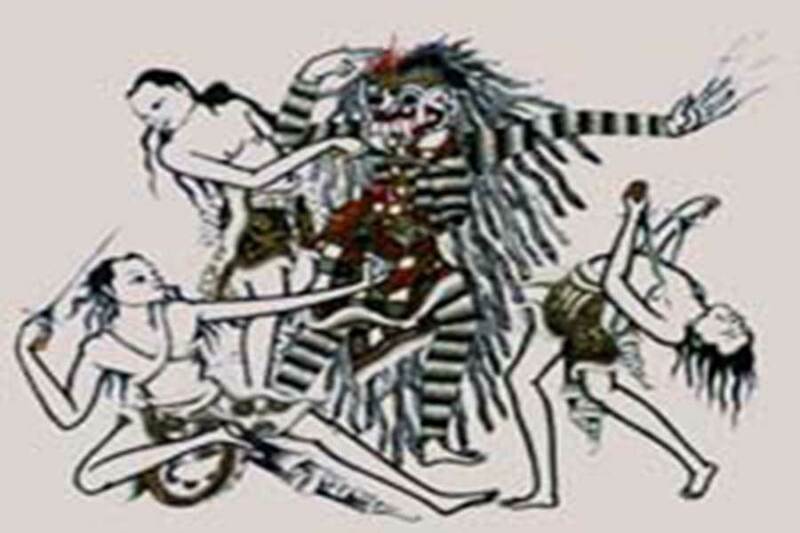 In addition, in the ceremony, not allowed to use Segehan, Kwangen, Penjor and tabuh rah (cockfighting) and for the completion of the ceremony it is allowed to use Ceniga made of Mas banana leaf, while in other area in Bali, the Ceniga is made of young coconut leaf. 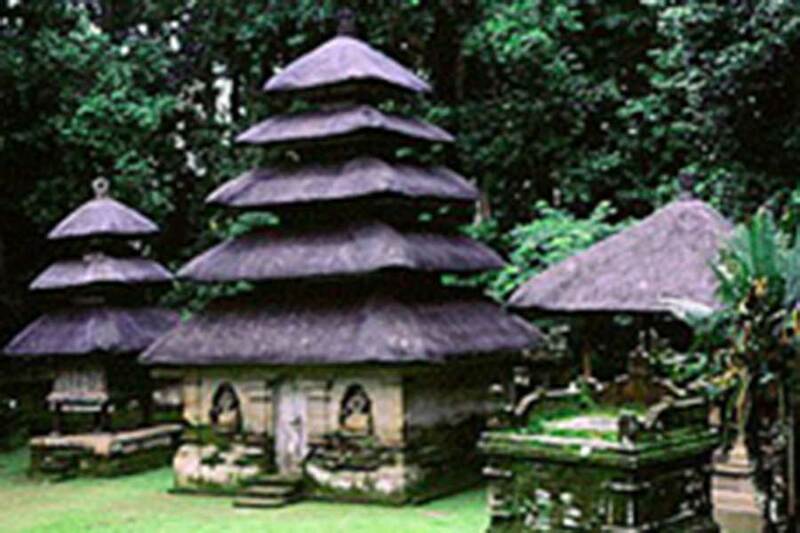 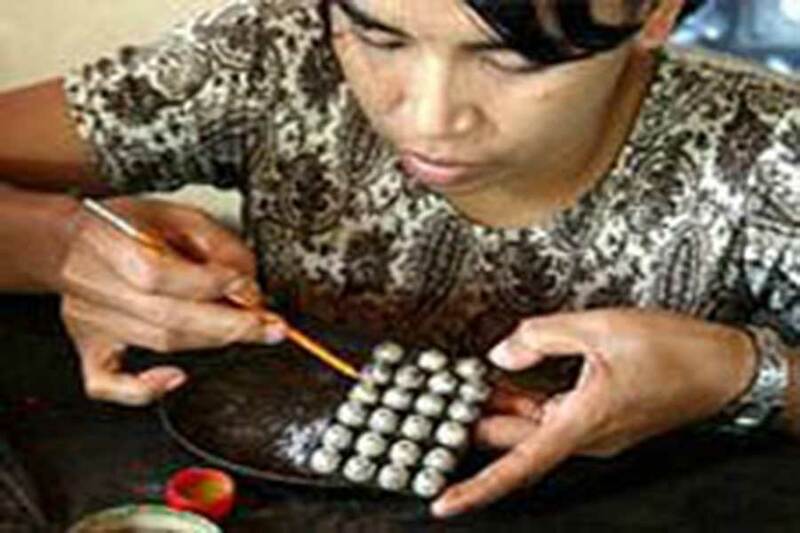 It is also very unique that the ceremony is not led by Pedanda as commonly conducted in other temples in Bali. 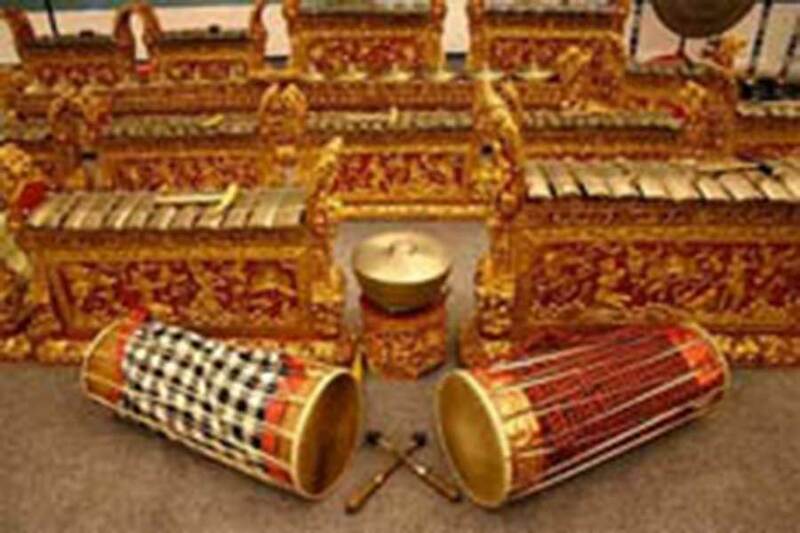 It is merely conducted and led by Pemangku Pura (the priest of the temple). 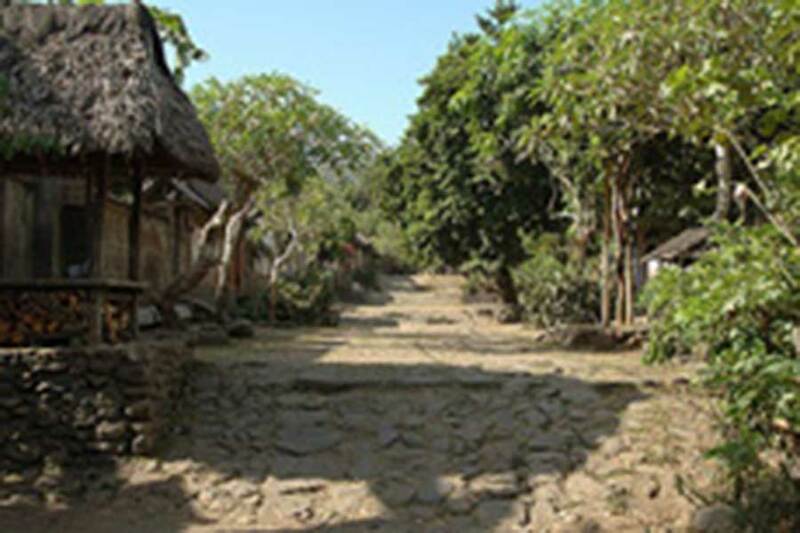 The above unique are important and exciting properties to be watched because in the scared and holiness of the ceremony, it is also hidden background which might derive from megalithic traditions that is still well maintained by the people in Kukuh village. 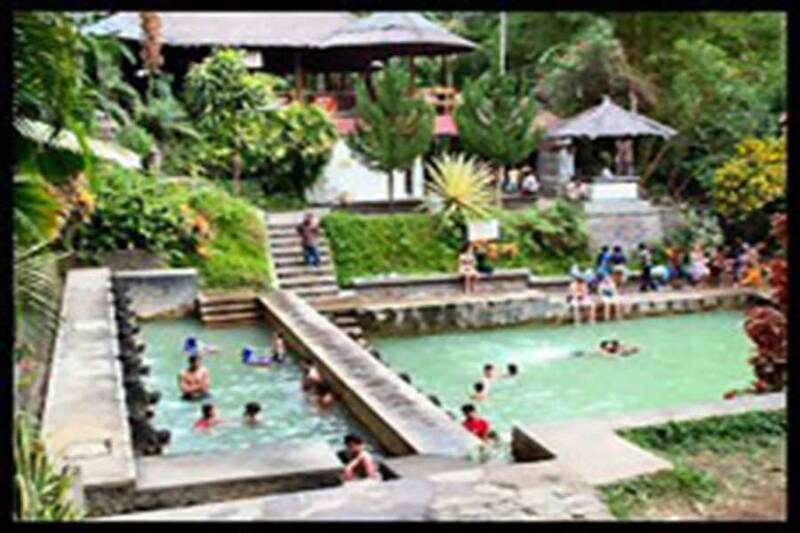 A very wide parking lot, with starred-hotel standard toilet facility, souvenir and snack kiosks are also available to fulfill visitors need.